Our main focus at Los Angeles Paralegal is to provide legal document preparation services for clients when it comes to filing for divorces, bankruptcies, child support and child custody, eviction (unlawful detainer) and citizenship immigration cases. We take pride in our services and guiding people through their divorce, bankruptcy, and eviction matters, while providing the most cost-effective pricing available. While my business name is new, I have been in the legal document preparation services for years. I worked for law offices and helping individuals with the preparation of legal documents in the greater Los Angeles and San Fernando Valley communities for the last 11 years. My previous and current clients have successfully completed their divorces, bankruptcies, evictions, immigration cases, name changes, wills and trusts, and civil matters with the help of Los Angeles Paralegals services. After virtually seven years of practice with several law firms in the greater Los Angeles area and San Francisco, in diverse fields of law we have decided to lend a hand to those who need assistance with lawful matters without the expensive cost of an attorney. We will be able to offer personal assistance with every client and provide you a status on your case anytime. Don’t deal with legal document preparation offices that are overloaded with work or attorneys who never return your call and overcharge. For personal attention, call for your free consultation today or fill out our online form. Are you looking to start a new business? We can guide you through choosing the right legal entity that best fits your needs. 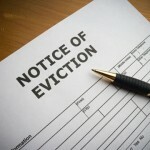 Evictions can prove difficult and costly. Let us make it as painless as possible by preparing, filing and serving all the legal documents necessary to stay in your home or to evict your tenant. The Small Claims process can be quite complicated. Having us prepare you for your day in Court will be to your advantage. Has you partner been avoiding paying his or her Child Support obligations? Are you seeking to spend more time with your child? We will be able to prepare the necessary legal documents to property present your case in front of the Judge. There are many reasons you will need a name change – whether for yourself or for your children? We can help. Unsure about what to include in an important Contract or Agreement? We will sit down with you to discuss your situation and prepare the appropriate paperwork to protect your interests. 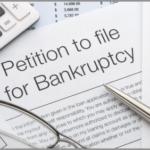 Need help preparing your lawsuit? We can help with even the most complicated civil matters – no case is too big or too small to handle. Residing in Los Angeles prospers better options for legal services. Due to over-priced legal service charges, most of the clients score reasonable options for legal assistance to overcome their concerns. If you have been cheated by some legal party or looking for credible legal assistance, it becomes more vital to discover trusted support. With Los Angeles ParaLegal Services we present dissimilar genre of legal skill and conduct all the research concerned with the case. The leading goal of legal representatives is to proffer best possible outcome without imposing expensive charges on service. In recent years, Los Angeles Paralegals Services has developed as a source of free consultation and eminent specialism. Los Angeles Paralegals representatives aim at providing reliable services for stable growth of communities so that they can decide on their own decree where legal assistance is not judged on fiscal terms. Foremost intention of our legal assistance in Los Angeles is to transport sensible legal consultation in order to reach the poor class who cannot afford it. Nowadays, some attorneys volunteer at other legal services to present assistance. In some cases, the court employs a confidential lawyer to grip legal issues of clients. 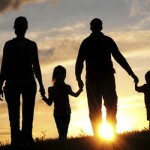 Los Angeles Paralegals, deals in an extensive field of legal concerns whether it is divorce, custody, visitation, guardianship, adoption, Medicare, Juvenile matters, garnishments, discrimination or property disputes. Legal consultants put into practice reasonably priced services within means of clients prowling for perfect help. Legal Services implement different effective measures like Toll-free numbers, Workshops and Superior courthouse to make their aid easily accessible by clients. Lawyers give perfect support to people in quest of legal representation, counsel or education in close proximity. With over 11 years of experience, we’ll guide you through the divorce process from start to finish, including child support and custody issues. Many landlords today have tenants who abuse their kindness. It’s time to fight back and evict them the proper way. Our affordable bankruptcy services won’t break the bank, while helping you achieve the credit and financial freedom you’ve always wanted. Please call us today for your free phone or office consultation. Our flexible payment plans fit any budget.